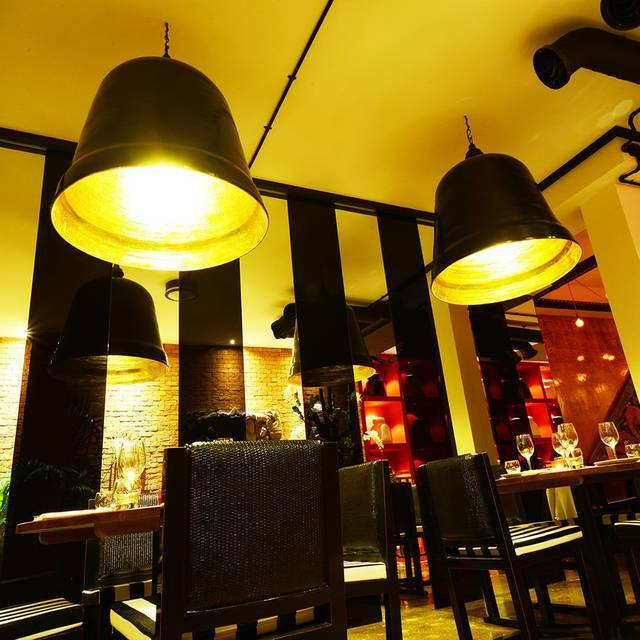 The latest addition to the Thai Square Group, Thai Square Fulham is located in the heart of the busy Fulham Broadway area. 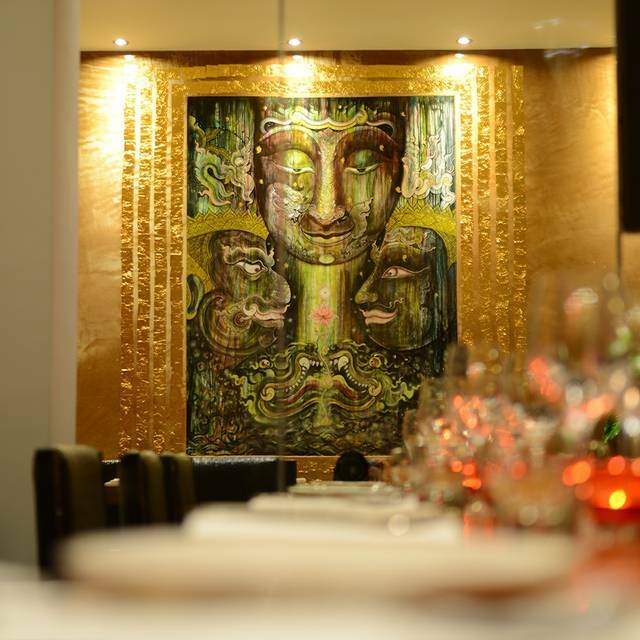 It has been beautifully decorated by fusing warehouse European style with modern and traditional Thai design, featuring a stunning floor which has been laid with gold leaves which sparkle especially at night. 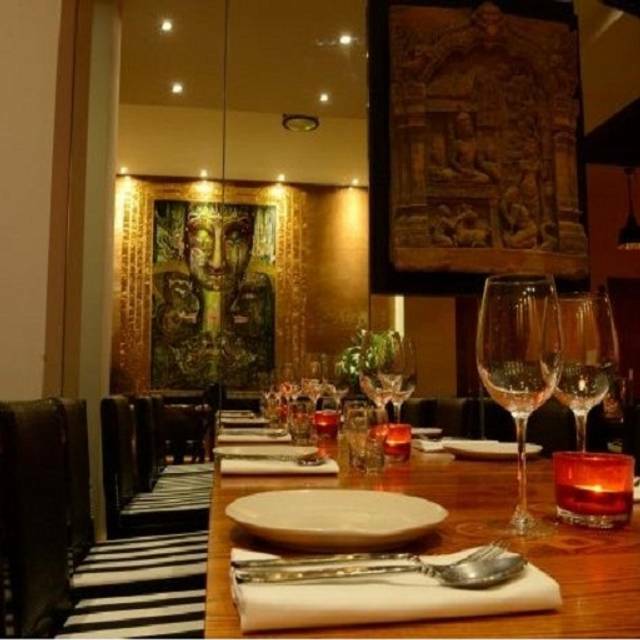 Thai Square Fulham offers a variety of authentic Thai dishes made individually by one of our best chefs which are freshly made with ingredients flown in daily from Thailand. 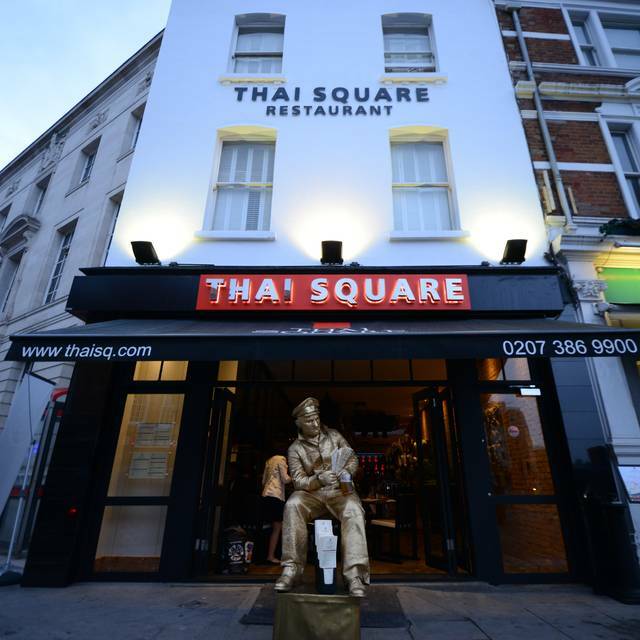 Thai Square Fulham branch proudly joins the other prize winning Thai Square restaurants offering a true taste of Thailand. Arrived and was show to a small table against a wall, requested a change, had a disucussion, prolonged to allow a table change, restaurant was less than 40% occupied. Finally shown to another table, after some time without any service, decided to leave, second time her, do not recomend. Food was delicious and the service was pretty good. I enjoyed more than the one in Putney. I had read the reviews and was still knocked off my feet, the food and prices were amazing (wine a tiny bit expensive but to be expected when you dine out). 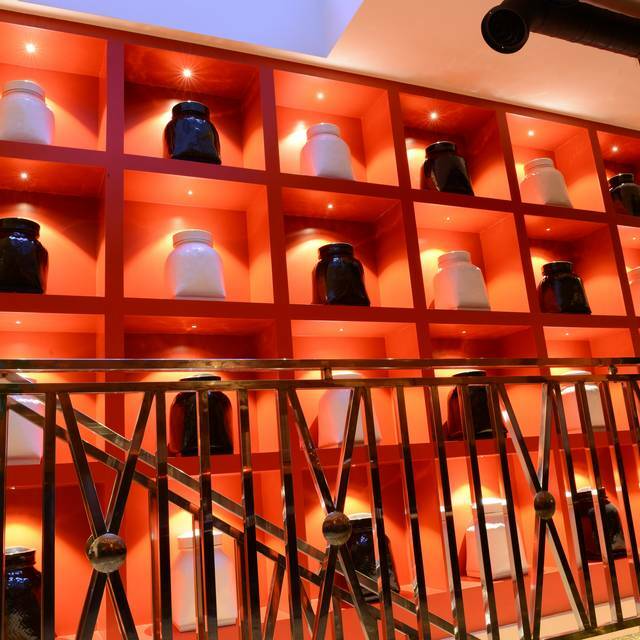 The food was so tasty and really lovely, service was great and staff very attentive without being too much. From the outside you wouldn’t pick just how huge the restaurant is, it’s well decorated inside and softly lit. So great! Good food at a very good price, the lunch menu is good value. Local Thai staple. Green chicken curry is my favourite. My son really enjoyed his pad thai too. Great quick lunch! Early bird special and champagne special were both amazing!!! Would go back every week!! Nice meal pre match. It’s alsways extremely busy before a match and the staff do well to try and get everyone looked after in time. Very good food all in all and fast, efficient service. Food was excellent especially the vegetarian mains ordered. Ambience was nice and we could enjoy a quiet and comfortable dinner. They could add some more options for Beer; the wine list was good though. Service was good and the steward kept checking on us every now and then to make sure everything was ok. I have passed this place so many times and although the outside is quite random, it is a little treasure in the inside! Well decorated, very classy! The food was actually very good (sometimes really spicy but the menu warn you) and the staff was lovely! A bit pricey so definitely not for an every day meal, but good place to celebrate! A very solid performer. Good food, atmosphere, service, drink. All in all, very nice. Good food, prompt service, would certainly visit again. Took clients for a prematch meal, we opted for the Gold set menu, but food was cold and not a tremendous amount of it. Can forgive the flat beer as the staff changed it several times to make sure it was right. Appreciate that prematch is going to be busy, but for the cost you expect better. I had to ask for service on every occasion from ordering drinks (we had been sat down in a near empty restaurant for twenty minutes) through to getting the bill. The staff were working flat out fulfilling Deliveroo orders, and at one point I considered using the Deliveroo app to get our food ordered! The food was delicious, but at the prices charged service should be much, much better. I was tempted to remove the charge from the bill, but I didn't want to send the wrong message to non-front of house staff. Unlikely to return. I adore cooking and spices; hence Thai food is my bag and then some! I do/can make a decent green curry, pad thai so I would consider myself to be someone that is knowledgeable. 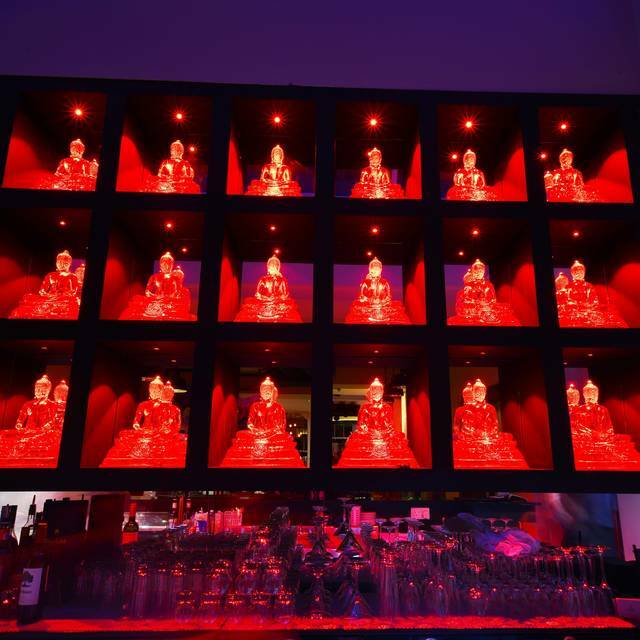 This place looks a little garish with the back wall illuminated with Red devil buddhas, but do not let this put you off. The food is amazing considering how difficult it is to find authentic flavours in London: I will certainly be returning!!! Nice enough and straightforward Thai food. If you like some heat you will need to let the team know otherwise feels it won't be very spicy. Great, friendly service though which made it a very pleasant couple of hours.